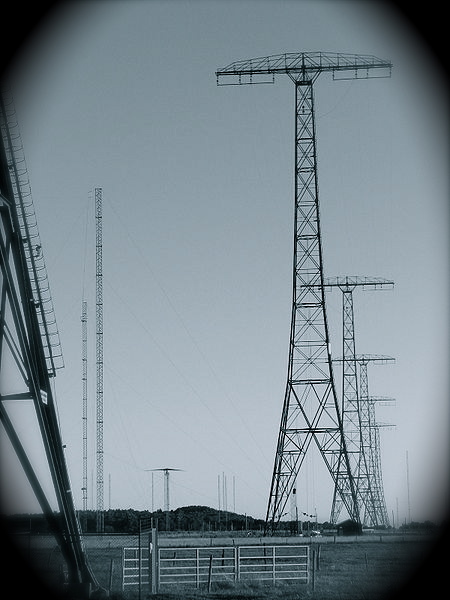 Interest in shortwave numbers stations seems to wax and wane. We’re currently going through a period of increased interest (again) as I’ve been receiving quite a few messages from new readers asking where to find spy numbers and what type of shortwave radio is needed. Truth is, there are fewer and fewer numbers stations still on the air, though some are still quite reliable (like HM01). The following article by Shane Harris at The Daily Beast is one of the better, more detailed, articles I’ve read in the popular press. When I was 10 years old, I found a shortwave radio in a crumbling old leather trunk where we kept family photos and other memorabilia. As I spun the dial, tinny, modulating noises, like the song of an electronic slide whistle, emanated from the radio’s small speaker. Staticky cracks and pops competed for airtime. The sounds swished and swirled, unintelligible and unremarkable. But then, emerging through the clamor, was a voice. This entry was posted in Articles, News, Numbers Stations, Shortwave Radio and tagged Cuban Numbers Stations, HM01, Numbers Stations, shortwave numbers stations, spy numbers stations, The Daily Beast on March 7, 2016 by Thomas. While band scanning last Sunday (September 8, 2014) I stumbled upon the Cuban numbers station HM01 on 11,530 kHz at 17:30 UTC. It’s always intriguing to hear shortwave numbers stations, but I prefer those that stick to pure vocal number strings; HM01 has numbers with digital bursts between number sets, which is a more fatiguing listening experience. Nonetheless, I kept it playing in the background as I tooled around the radio room Sunday afternoon, putting away supplies from my recent three week road trip. Several times during the HM01 broadcast, I heard the audio (not the AM carrier) drop in the middle of numbers sets and digital bursts. This isn’t the first time I’ve heard hiccups on HM01 (see this post from last year, for example), so I wasn’t terribly surprised. Then, close to the top of the hour, HM01 audio dropped for a minute or so, then switched back to five-number sets with no digital bursts between; though I wasn’t copying the message, I suspected that someone in the studio intentionally, perhaps in frustration–or else accidentally–started the broadcast from the beginning again. Since it was near the top of the hour, and HM01 broadcasts only tend to last one hour, I didn’t expect to hear the broadcast repeat–and it didn’t, at least on 11,530. Evidently, this message had some important content–otherwise they wouldn’t have re-broadcast the entire set the following hour, 105 kHz up from the original frequency (most likely protocol after technical difficulties). I imagine spies huddled around their radios, cursing at the interruptions and frustrated they had to listen for an additional hour; and I imagine the confusion at the broadcast site as they tried to diagnose the problem in a live broadcast. 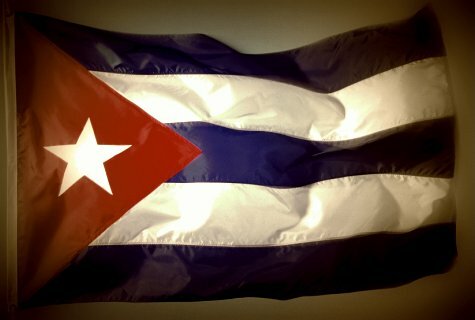 It’s during these little mistakes that numbers stations inadvertently tell us who they are (Radio Havana Cuba content has accidentally been played before on Cuban numbers stations). This entry was posted in News, Numbers Stations, Recordings and tagged Cuban Numbers Stations, Cuban Spy Numbers, Cuban Spy Numbers Station, HM01, Numbers Stations, Spooks, spy numbers stations on September 13, 2014 by Thomas. 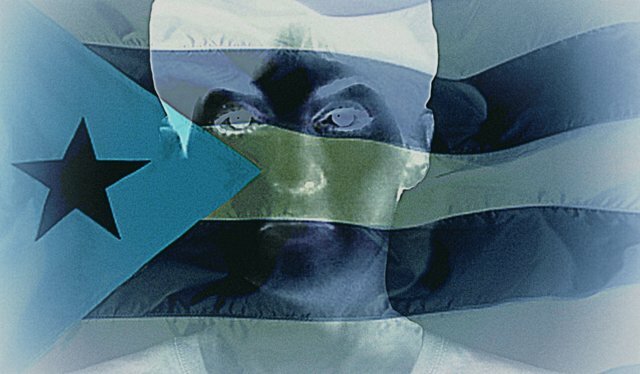 Even if you’re not a Cuban spy, you too can receive secret messages sent by Havana to its spooks in Miami, Washington and around the world. Every week, one short wave radio station in Cuba broadcasts 97 messages coded in fax-like tones. 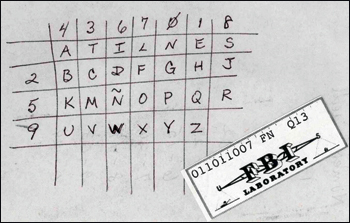 A computer program easily available to the public changes the tones into numbers, and the Cuban spies then decode the numbers into words. A second Cuban spy station transmits 16 messages per week in the dots and dashes of the 175-year-old Morse code – secret messages to Havana spies who may be older or less technologically savvy. […]The busiest Cuban station these days, and the only spy station in the world that uses the fax-like tones, has been baptized as HM01 by amateur eavesdroppers who run Web pages like Spooks List, Spynumbers, ShortwaveSchedule and Enigma2000. It transmits 11 to 14 messages per day, a total of 96 per week, on the same schedule each week but using a dozen different short wave frequencies, said Chris Smolinski, 41, a Maryland software engineer who monitors the spy stations as a hobby. Each message almost always has 150 five-digit groups, so that eavesdroppers cannot measure the true length of the text. And some of the 10-minute transmissions are phonies, designed to mask the real number of spies receiving them. Anyone can hook up a radio receiver to a computer, where the DIGTRX program – widely used by ham radio aficionados to send and receive lengthy texts, turns the tones into numbers. Spies then use secret computer programs to turn numbers into text. “HM01 is an ideal system because you don’t have to teach any to anybody. The computer does all the work,” said Smolinski. For the less computer-savvy spooks there’s the M08a station, which broadcasts 16 messages in Morse code, developed for the telegraph in 1836, on a set weekly schedule and on many of the same frequencies as Hm01. This entry was posted in News, Numbers Stations, Shortwave Radio and tagged Cuba, Cuban Numbers Stations, HM01, Numbers Stations, Spy Numbers on February 26, 2014 by Thomas.